Apparently Sega has made a Genesis/Mega Drive on the iPhone. 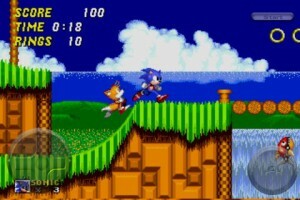 AllTechRelated has found that Sonic the Hedgehog ($5.99 iPhone app) is actually a Sega Genesis emulator with a Sonic the Hedgehog ROM file. They have tested other Genesis games and some seem to work (Sonic 2, Afterburner 2 and Ecco the Dolphin). AllTechRelated explained the steps. Image from Macenstein. Thanks for sharing! In this day and age there’s a lot of confusion about good practices. Thanks for helping to clear it up somewhat. Your opinions are appreciated. Texas holdem can be an fantastic Video game you possibly can make Cash with the idea, and you can earn more income usuallu when you use Rakeback Offers.